Are you looking for reliable and professional locksmith company that sells, installs and repairs Von Duprin exit devices, electric strikes and other access control products in Chicago, IL? We are a local provider of residential and commercial locksmith services throughout Chicago Illinois. 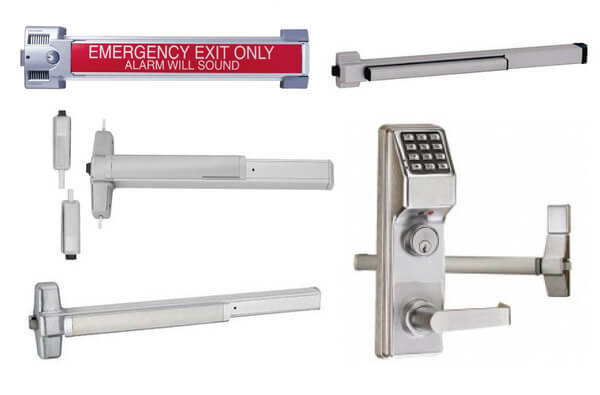 We offer Von Duprin door hardware installation, repair and replacement services 24 hours in any case of emergency. Our technicians are licensed, bonded and insured, and always ready to provide you fast and professional locksmith services anywhere in Chicago area. Since in the year 1908, Von Duprin is serving their respected clients with innovative and high quality security products such as locks, keys, door hardware and control systems. The locks and keys that are being manufactured by Von Duprin come with different styles and designs that will suit the interior designs of any establishments. The excellent features of the lock and key brand are one of the reasons why they are one of the finest locks and key companies all around the globe. The company was established in 1908 and up to this point in time; they are serving their valued clients who are fulfilled and happy with their exceptional products. If you are looking for excellent lock and key brand, you don’t need to look any further since Von Duprin is always ready to help you in resolving your lock and key problems.